From first to last, each one of Barrett’s short stories in this collection delivers startling scenes and revelations. I have not read the first edition so cannot comment, nor compare the two, but From Caves of Rotten Teeth (2nd Ed.) signalled to me the rise of another great African writer. There is a wonderful quality to Barrett’s style of writing evident in From Caves of Rotten Teeth, from vivid descriptions and dialogue (which put me in mind of Irvine Welsh’s Scottish dialogues), to heart wrenching circumstance and fiendish plots. It is I feel written with a bold and noble spirit, one that shines to illuminate the good, bad, beautiful, grotesque, brave, cowardly, happy and insane. In this Barrett almost leaves no stone unturned, no matter what may crawl out into the light. Like being born into a new world, Barrett starts the reader off in a claustrophobic darkness with the first story. In this darkness we meet the first in a long line of destitute characters (for the most part), and hear about their harsh poverty-stricken lives. In each story there are wonderful contrasts, but in general it almost seems like a rapid descent into a well described hell. 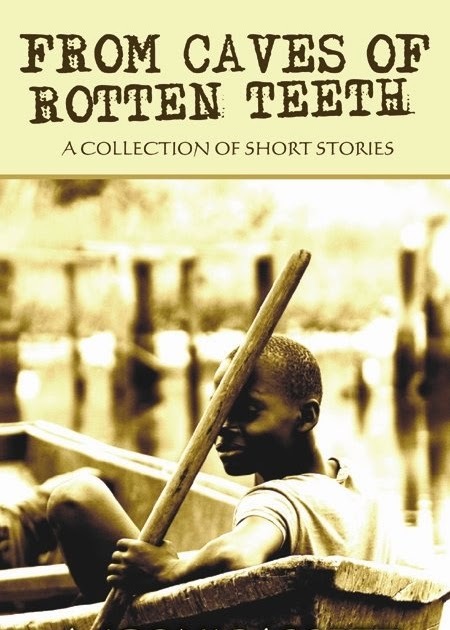 That there is a whole lot of truth to Barrett’s fictional creations in From Caves of Rotten Teeth only serves to heighten the inherent tension behind his stories. We may laugh at Barinada Kpee’s crazy leap and fall from the speeding bus in “Even As an Angry Wind Leaves Nothing in its Path”, but only because it rings of truth. Barrett leaves no doubts that were you in that bus, that is exactly how you would have to disembark too. In this way the reader is much like a personal guest of Barrett’s in his big strange city, and like a good host who has been asked to reveal all, he certainly obliges. But when things get rough, there is always that feeling of Barrett behind you, sagely yet with an undeniable mischievous humour, guiding the reader. The most outstanding story for me was “The Phoenix”, and there is good reason it won the 2005 BBC World Service short story competition. From its initial vivid—almost hallucinatory—description, right into the woeful tale of Tartius Abrachius, with its astounding ending, I feel in this story Barrett shows his true writing mettle, but not just that, he shows the promise of what he will achieve in the future. There is no doubt in my mind that From Caves of Rotten Teeth is just the beginning for Barrett. That what he has so skilfully débuted with is just the tip of the iceberg in what this new author has to offer the world. 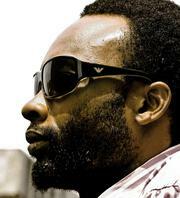 Ivor W. Hartmann is a Zimbabwean writer living between Harare and Johannesburg. He publishes StoryTime, an African fiction ezine. His fiction and non-fiction pieces have been published in various magazines, including Farafina and African Writing. His short story, Earth Rise, was nominated in 2009 for The Ursa Major Award. Another short story, Mr. Goop, was awarded The Baobab Prize in 2009. Yes! Yes to everything you’ve said about this brilliant man. We will wait for his magnum opus. Igoni Barett is a great writer. I enjoyed reading his short stories for painting true pictures with vivid words!